SOLD $550,000 ESTATE AUCTION! Commercial Property w/ 2 Shops & Personal Property | Middle Tennessee Real Estate :: Maples Realty & Auction Co.
Real Estate: Perfect Business Opportunity!!! 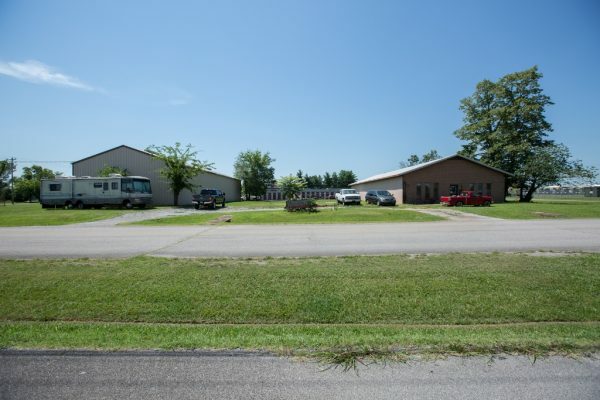 Commercial property on 1 +/-acre with 2 Shops. Building 1: 100′ x 40′ and Building 2: 120′ x 40′. Both buildings have bathrooms, gas heat, city water, and 3 Phase wiring. Conveniently located to the center of Smyrna, I-24, I-840, Murfreesboro, Nashville, and Nissan. Personal Property: 2 Mojave granite surface plates, tracer machine, pallet jack, Airco welder, pull behind Miller: AEAD-200LE welder propane, blue storage racks, Alkota industrial pressure washer, heated, Atlas Copco 2 cylinder compressor, Webb 10 HP air compressor, big metal work table/bench, Chem-Free Corporation smart washer, 1997 Pace Arrow RV w/ 41,000 miles, tracer for plasma cutter as torch, and rotary screw compressor. Directions: From Nashville, Exit Sam Ridley Parkway. Left on Weakley Lane, left on 8th Avenue. Property on the left.